HDR (High Dynamic Range) photography has become a popular technique over the past ten years and is being used more and more. 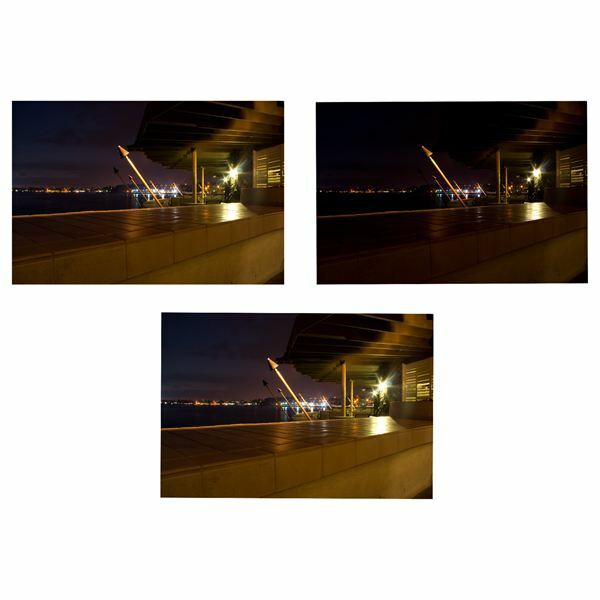 This process involves taking three photos of the same image at different, bracketed exposures in order to capture both the highlights and shadows of an image. Using post-production, HDR software like Photomatix Pro 3.1 will allow anyone with a digital camera to create these brilliant photos. 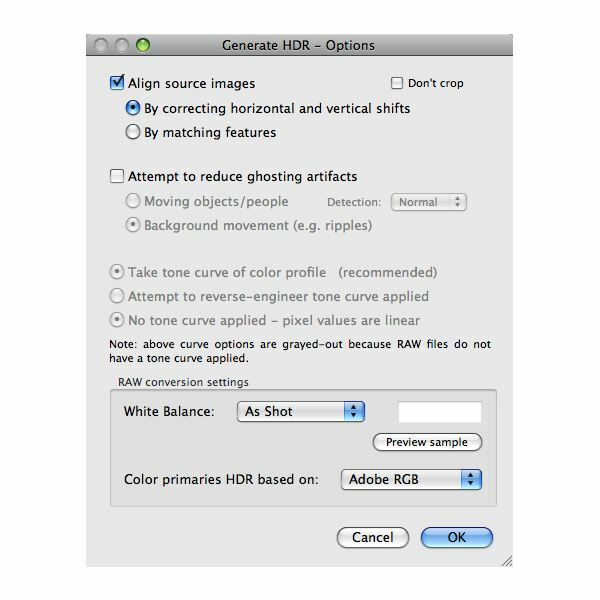 After launching the software, you’ll click on the Generate HDR Image button on the pane to the left. Then, you’ll need to select the source images that you’ll be merging into one HDR photo. You can browse for these images, but I find it easier just to drag and drop the three photos from Finder into the box (If you’re using a Mac). Click OK. The photos above are the ones that we will be merging. As you can see, one is properly exposed, one is overexposed, and the other is underexposed. When the Options window appears, Align Source Images is already checked by default, correcting horizontal and vertical shifts. Usually it makes sense to leave these at the default. If I have an image that has very distinct shapes and features, I will change it to align the source images by matching features. If you’ve taken a photo where there was some movement in the image, HDR can be tricky because the object will take on a “ghost” effect. Ghosting artifacts occurs most commonly with people, animals, nature (trees, clouds, water), and other objects that can blow in the wind or move. Luckily, Photomatix Pro offers a feature in their Options page to Attempt to Reduce Ghosting Artifacts which can significantly help stabilize those images and reduce that effect. Provided that the white balance is the way that you want it, click OK to apply those options. On my 2.16 Ghz iMac, it took only about 10-12 seconds to merge these three RAW files (taken with an 8MP camera). Photomatix is extremely quick with it’s processing, which puts it at a large advantage over other programs. Where Photomatix Pro 3 really begins to shine (like its previous versions) is when it comes to tone mapping. 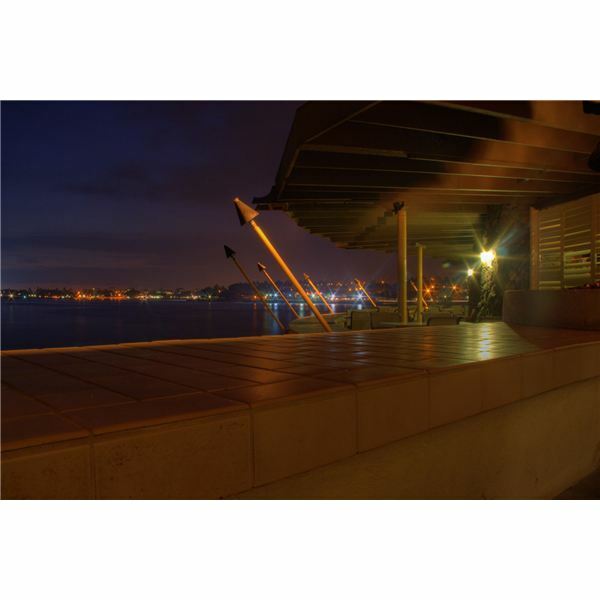 The tone mapping features allow the user to really customize the HDR image in order to recreate the correct tones that match the original lighting of the situation or give a surreal effect. In this image, I chose to lower the strength and color saturation a bit. I also made sure that light smoothing was set to high. Spend some time tweaking these images. If you mess something up, there is an undo/redo button at the bottom of the tone mapping palette. When you have the image the way you want it, click Process. Photomatix took only 7 seconds to process the tone mapping changes that I made. With the final image, I would generally open it in Photoshop to remove a few specs from the photo. Some of the specs in this photo are not symptoms of the HDR process, but instead a result of dust on the actual lens of my camera. This photo was taken in Hawaii while I was on my honeymoon. Somehow, I forget to clean my lens that day! 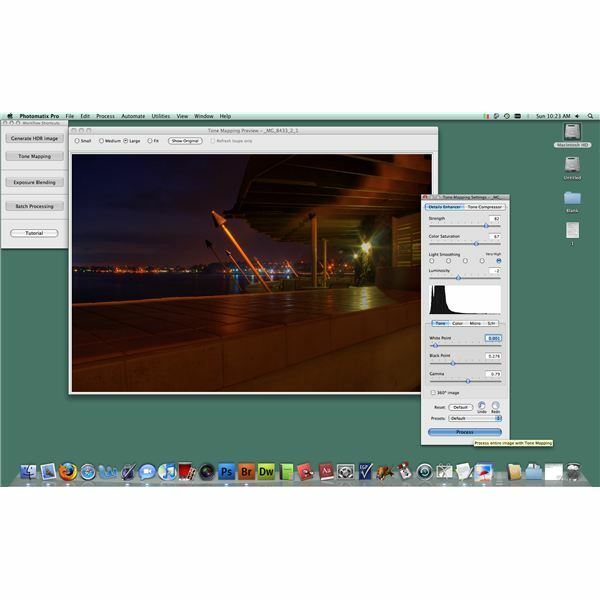 Photomatix Pro 3 only has a few basic editing tools, and they are not the easiest to use. Even the simplest of tasks, such as cropping, is more complicated than necessary, having to use the CTRL key while you’re dragging. So, I leave any editing that I need to do for Photoshop CS4 or Aperture 2.1. When you have the photo the way that you want it, be sure to save it by clicking File and Save As and saving it as either a JPEG or a 16 bit TIFF. Usually, I will save it as a JPEG if I’m using it on the computer (4.7MB), and I’ll use TIFF if I’m going to be printing the image (45.9MB). You can see that there is an enormous difference in size between the two file types. When you are saving the photo, there is a checkbox below the format that you can click to launch Photoshop and save the image in that program. Doing this can increase the compatibility of the file. Below is the final product of our merged photos. With HDR photography, do not get discouraged if your first few attempts don’t work out the way that you want them to. This is not the easiest photography technique to master. It does take some practice. So, don’t give up and remember: Practice makes perfect!